We are getting ready for fall and Hobby Lobby is helping us out. We crafted a beautiful fall banner that will remind us of all our blessings and carved pumpkins to welcome our guests. Our home is decked out for fall and it was super easy. 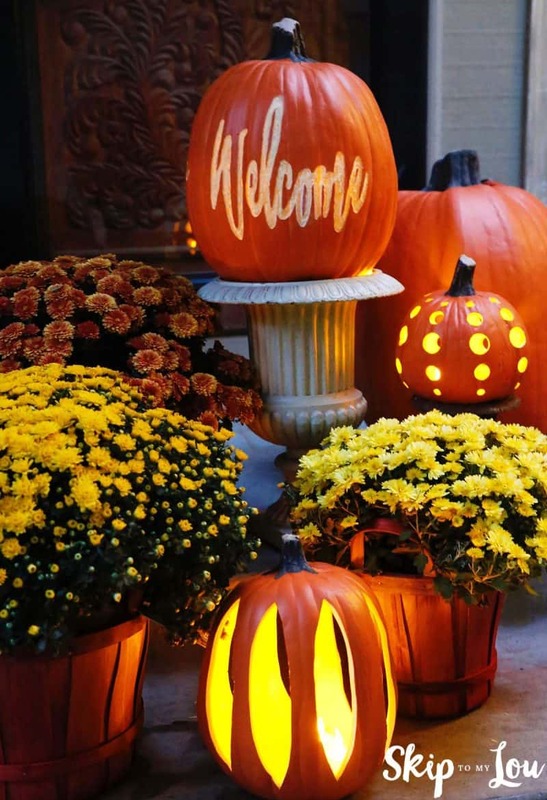 You can do it too with these great fall decorating ideas. 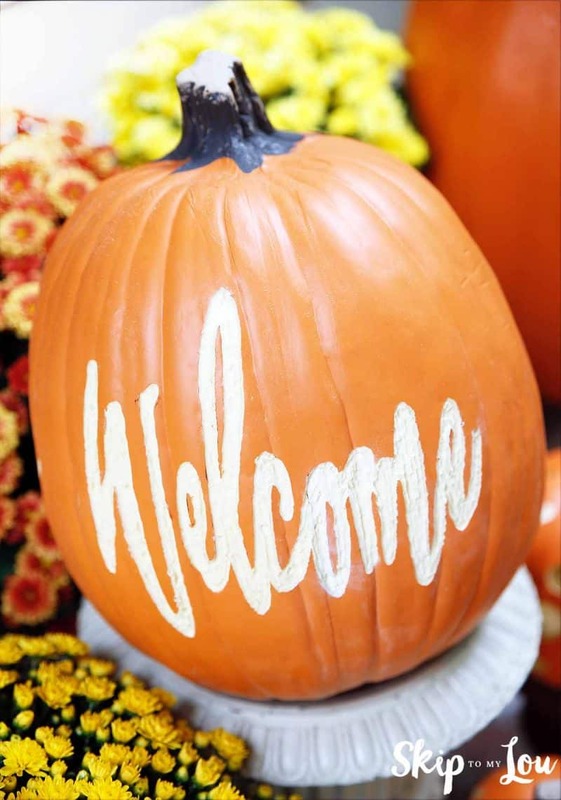 A simple fall banner can add warmth to your home. Draped over a mirror in our living room, this garland shows our thankfulness. I found everything I needed at Hobby Lobby. 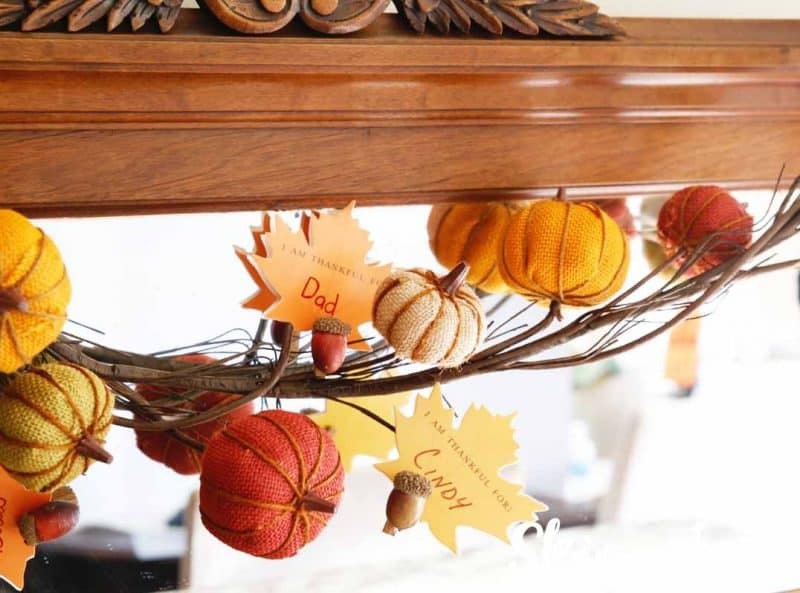 This fall garland is extra special! It will help our family to be grateful for all our blessings. 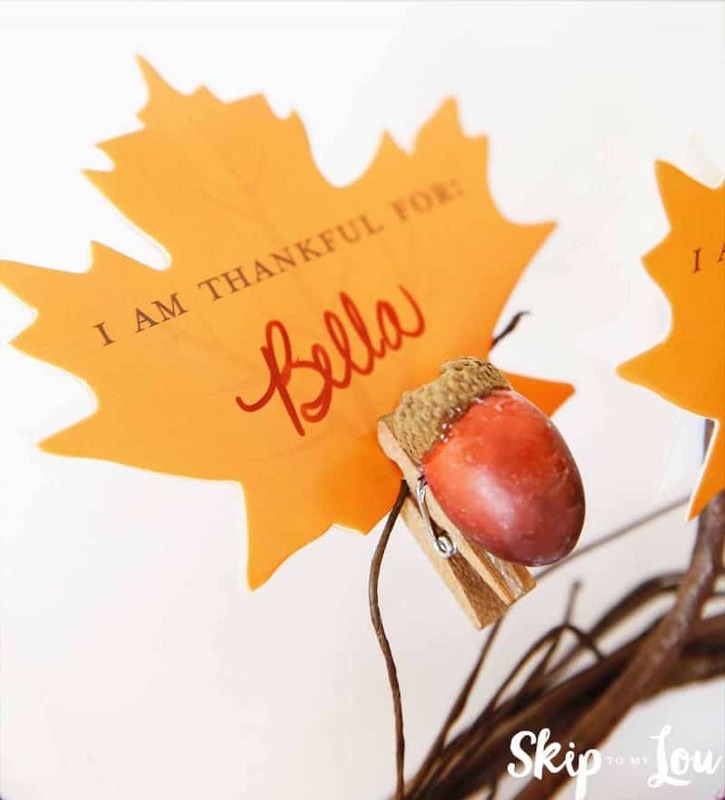 Homemade acorn clips are a super cute way to clip our thankful place card leaves to the pumpkin garland. 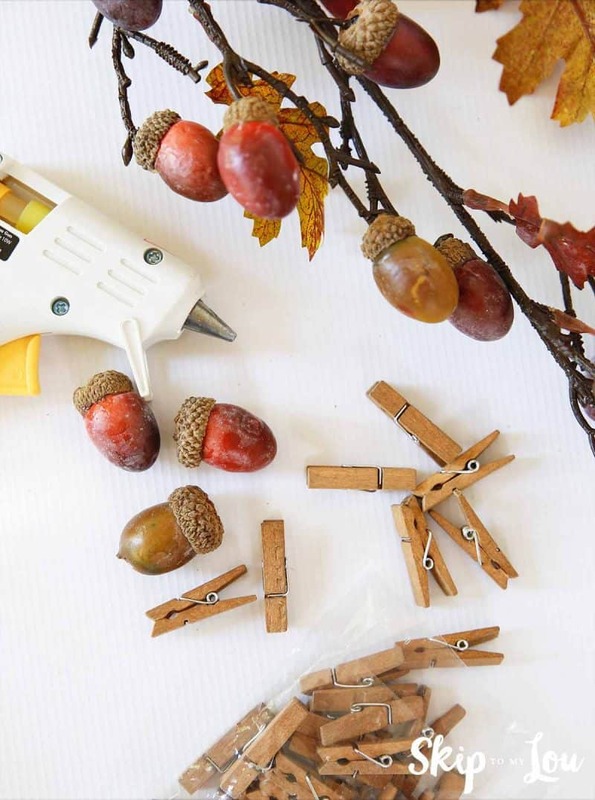 First, carefully remove the acorns from the floral stem by gently pulling them from the plastic stems. 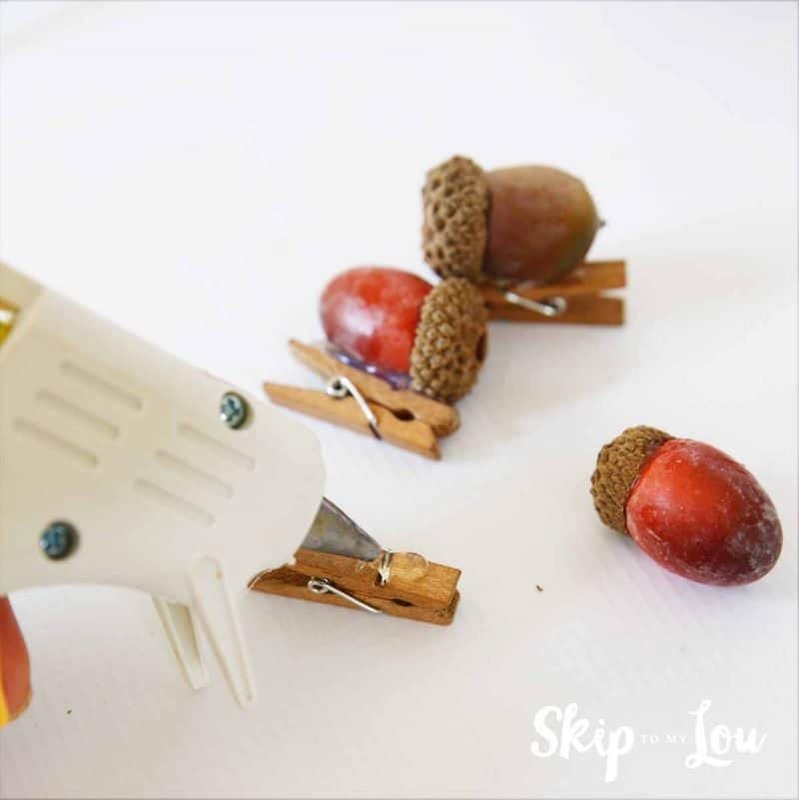 Next, hot glue an acorn to the clothespin. 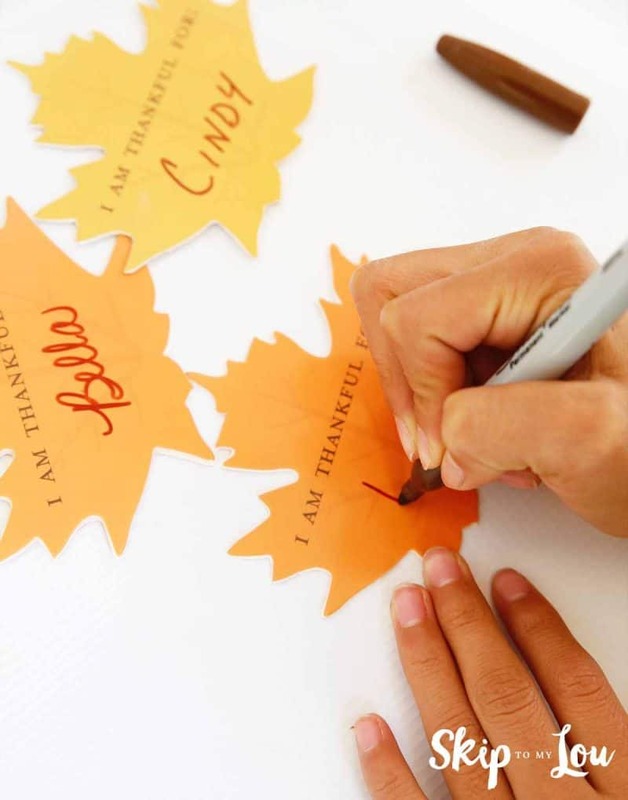 Write something or someone you are thankful for on one of the leaf place cards. 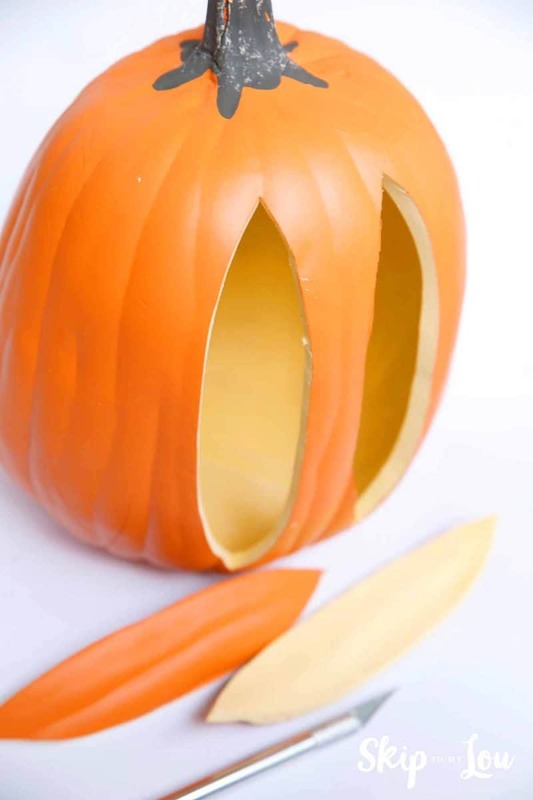 Use the acorn clip to fasten the leaf to the pumpkin garland. We are going to add a few leaves every few days until Thanksgiving. 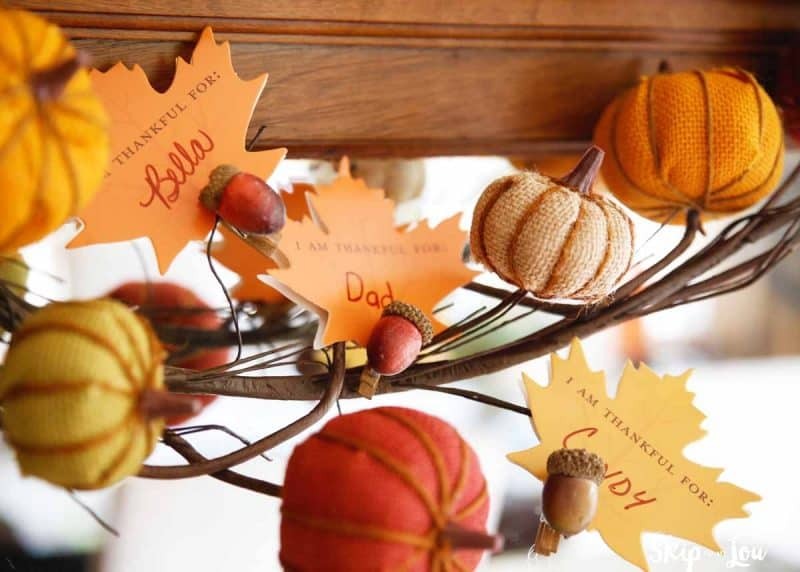 What a great way to focus on gratefulness this fall. 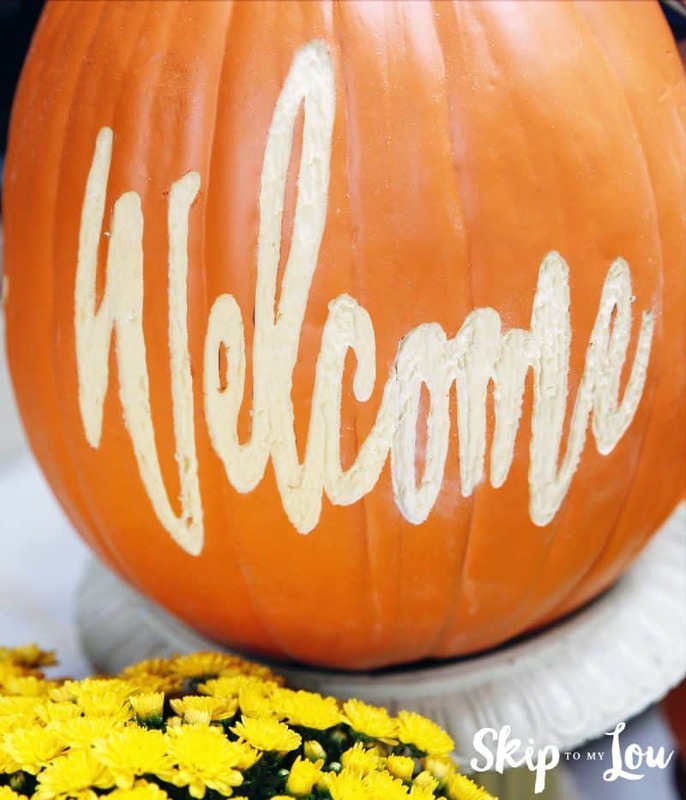 Along with our thankfulness banner we are decorating our home with glowing pumpkins this fall. For years we have carved pumpkins but are always so disappointed when they rot and must be thrown away. 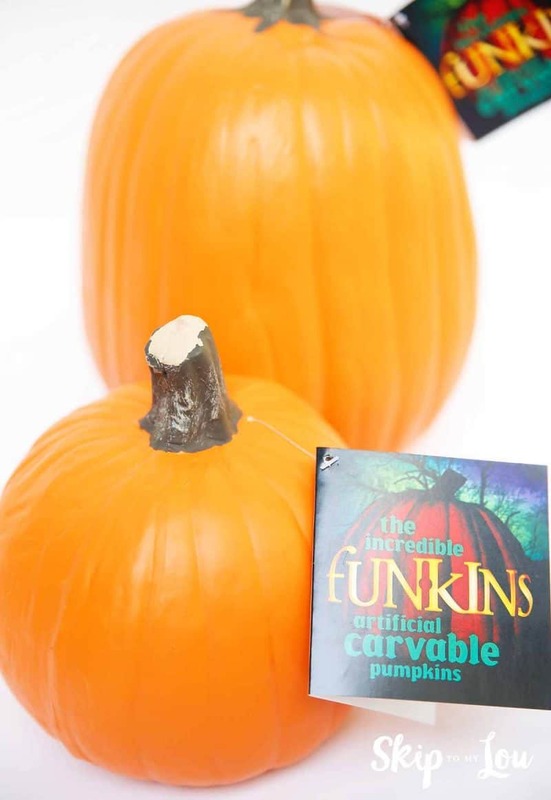 We found these cool foam pumpkins called “funkins” and they will last not only this entire fall season but from year to year. Carving these foam pumpkins was a breeze. From knives to a Dremel too they really are easy to make. The Dremel tool easily cut away the orange skin. 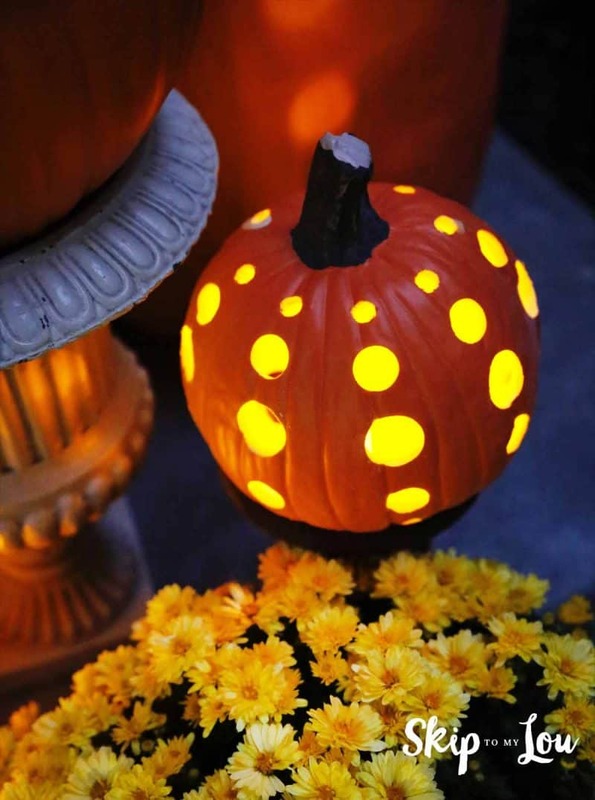 This technique shows up great during the day when the pumpkin isn’t glowing, but still will have a glow at night. 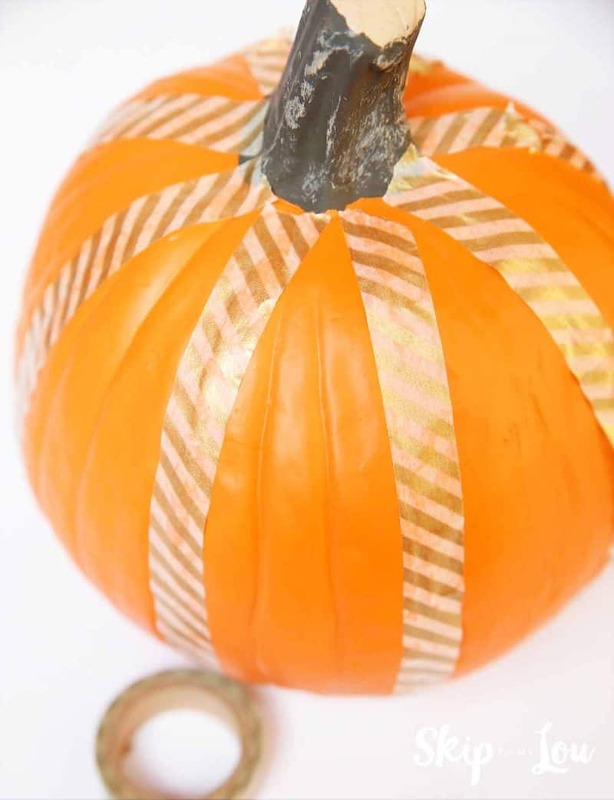 Use a bit of washi tape to mark off the pumpkin to make the design even. TIP: The funkins are painted so be sure to use painters tape or tape like washi tape that isn’t very sticky. 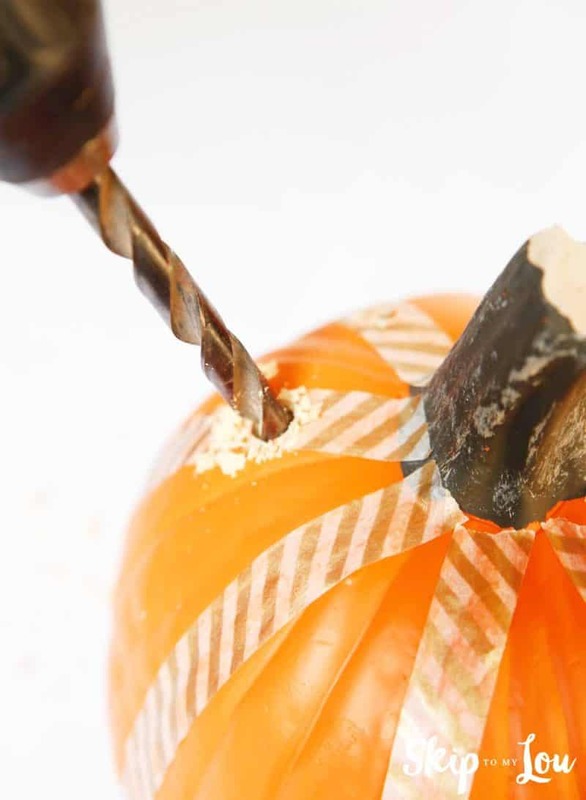 A drill makes quick work of carving the funkins. 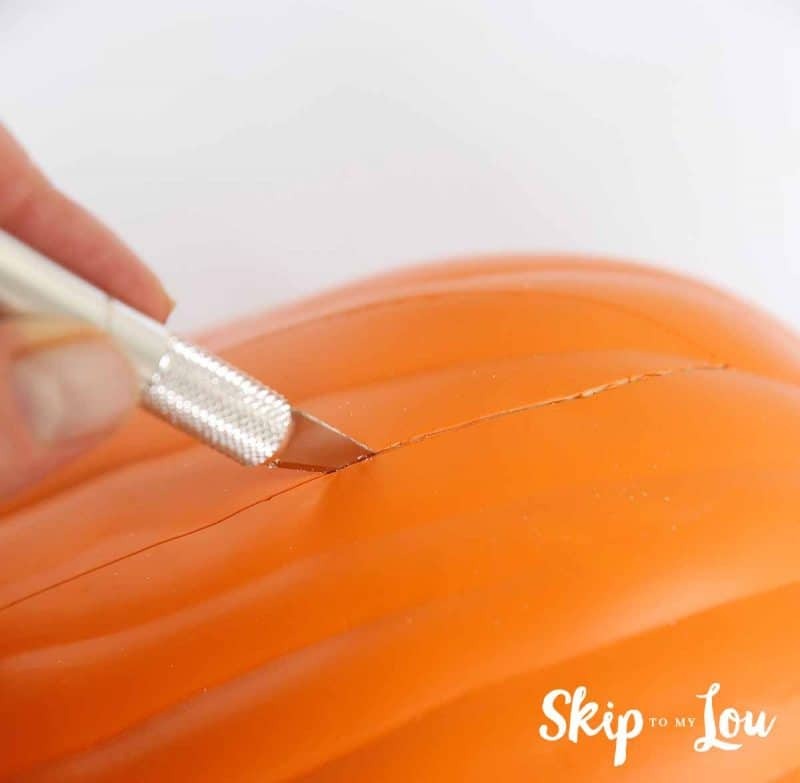 Carefully remove the tape and you have a perfectly carved pumpkin. An exacto knife also worked great for carving the foam pumpkins. Add battery operated tea lights and you have an amazing display. 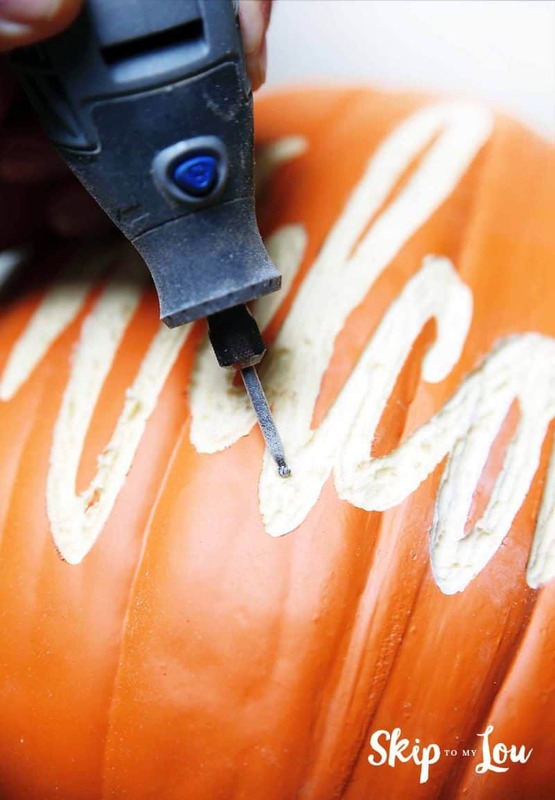 If you wants some more inspiration for pumpkin carving check out these pumpkin carving stencils. 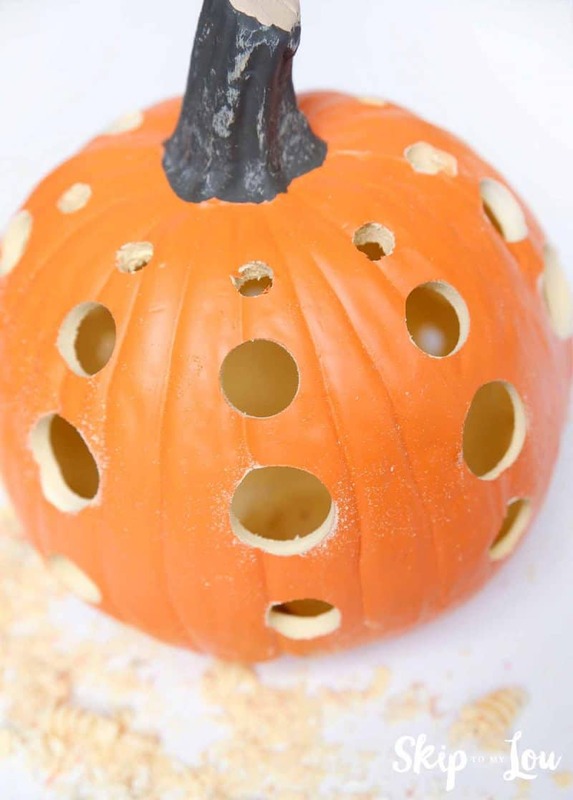 I also have some easy pumpkin carving ideas. 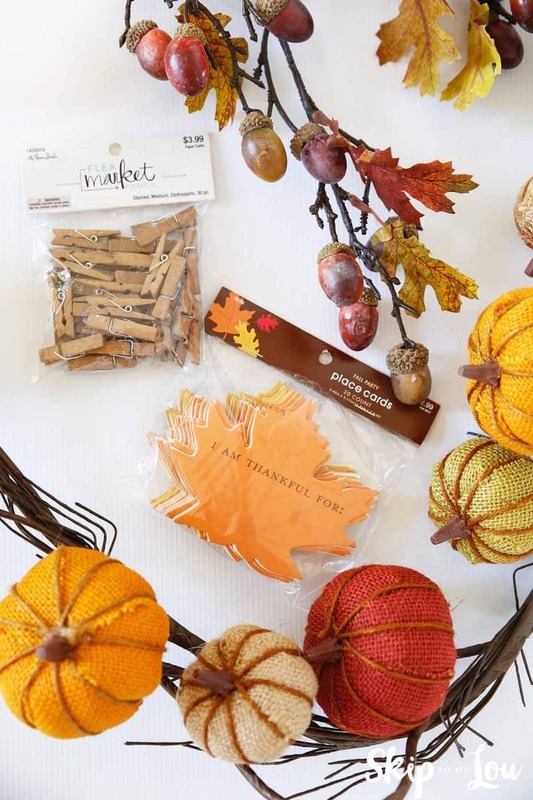 I have a special treat for you so you can go to Hobby Lobby and grab all the supplies you need to decorate your home for fall. Enjoy this 40% off coupon! Thanks! I was surprised at how easy the foam pumpkins were to carve! 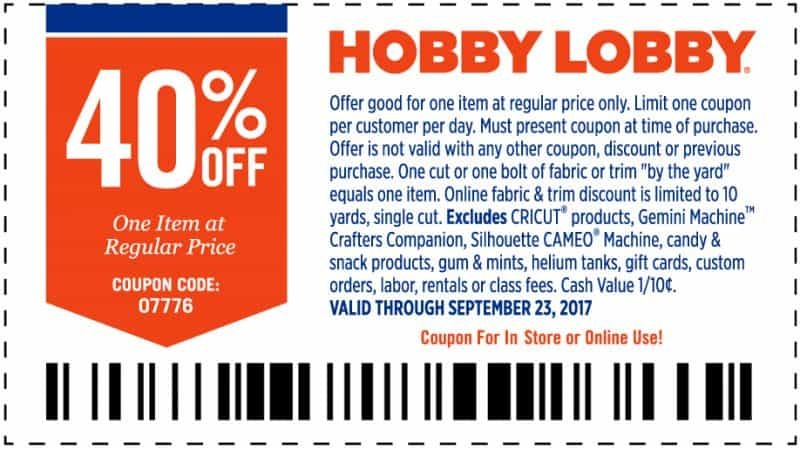 Don't forget to grab your Hobby Lobby Coupon so you can give them a try!